The Old Prison has been declared an official heritage site and within its walls is both a National Monument and a museum documenting some of South Africa's diverse history. You can also find out more about the History of Project Gateway as a charity working inside the prison walls. The Old Prison dates back to Voortrekker times, with more than 150 years of history including the Colonial times, Apartheid, the Liberation Struggle, the Political Struggle and ultimately to the dawn of democratic South Africa in 1994. The site was commisioned in 1859, with the E-block being the the first building erected on the site. It was opened in 1862. 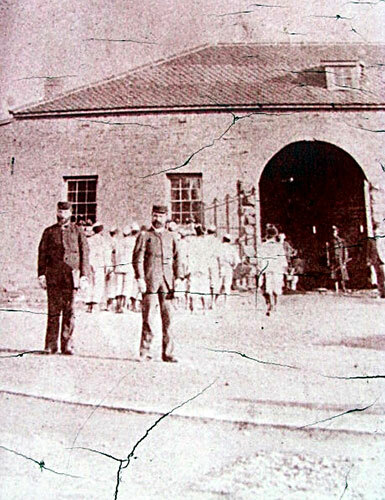 The cell block has been declared a National Monument and is one of the oldest buildings in Pietermaritzburg. The execution block was constructed in 1934. This building had the sole purpose of housing a gallows and high security cells. The execution block also houses one of the torture rooms; "a room so dark you can barely see your hand in front of your face". Other buildings, including the gallows, 'whites only' section, hospital, gibbet etc were added at a later date. When the cell blocks of the prison were originally built, each cell was designed to house prisoners individually. However, as inmate numbers increased, it became common for each cell to accommodate as many as 10 or 12 prisoners, who slept on mats on the floor. Each cell had 2 buckets - one for water and one to be used as a toilet. The cookhouse was constructed in 1872. A dining hall was never built. Instead, in all weathers, inmates experienced 'open air dining' in an area of clearly marked white lines on the tar between the Chapel and the 'Whites' section. Former prisoners that have been interviewed, remember the 'open air dining room' as a common area for gang fights. White prisoners ate in their cells. The carefully drawn insignia of various organisations. 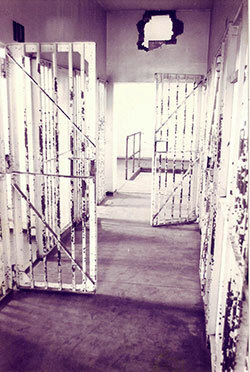 The number of political detainees and awaiting - trial prisoners held at this prison increased dramatically. They were arrested for actual and perceived actions against the apartheid government, while a number were leaders of liberation groups. The execution block housed people who were arrested for participating in anti-government political activities. 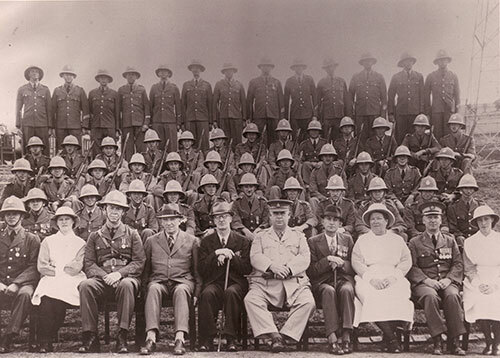 They were strictly segregated from prisoners serving non political sentences, for fear that they would spread 'revolutionary ideas', and most were detained without being charged, under the 90 day Detention Law. This law allowed that political prisoners could be kept in solitary confinement for the entire 3 months of their detention and then re-detained at the end of the period, all without being formally charged. 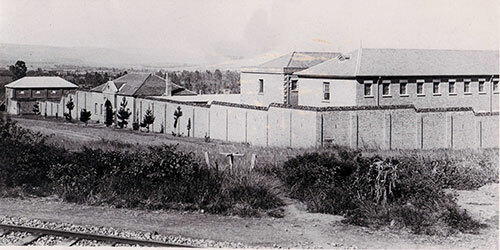 There were many freedom fighters kept in The Old Prison during the struggles in South Africa. Our tour of the Old Prison links with and incorporates five main figureheads. That is: Alan Paton, John Langalibelele Dube, Albert Luthuli, Mahatma Gandhi and Nelson Mandela. The Freedom Route was initiated in October 2007. The Old Prison was closed in 1989 due to over-crowding, and in 1991, Project Gateway was given the site to use for community development projects.